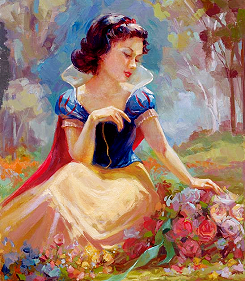 Snow White. . Wallpaper and background images in the Snow White club tagged: snow white disney disney princess dwarfs classics princesses. This Snow White fan art might contain gadis pengisi pengantin, pembantu rumah kehormatan, bridesmaid, maid of honor, sejambak, korsase, karangan bunga, seikat bunga, american express, posy, and nosegay.